Bringing the family together around the dinner table is a huge part of the holidays. However, all of the sweet potato pies, turkeys, pop, and everything else can really add up! SPECIAL TREAT: You have to try her delicious, really simple, recipe for Roasted Sweet Potatoes below! JULIE: Easy ways to add more vegetables to your meals are to try to include a salad at lunch and dinner meals, [a salad] that has more than just lettuce in it. 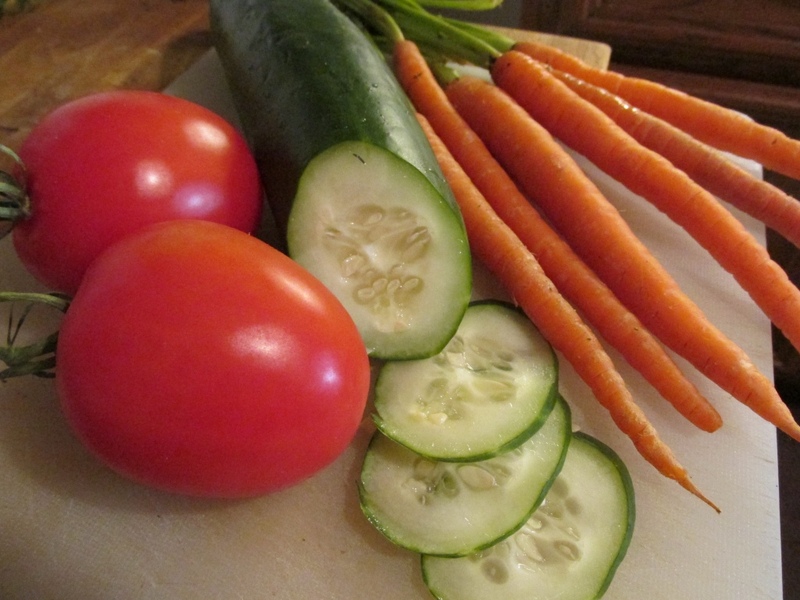 Try adding some grape tomatoes, cucumbers, shredded carrots. Carrots are always readily available and adding them your salad can increase the nutrition content. Keep vegetables easily accessible. Try keeping either fresh, frozen, or canned vegetables in your refrigerator and cabinets. Having any type of vegetables in your food is better than not having them at all. During the holidays, overeating is a common problem. With the abundance of food available like turkey, potatoes, and pies, eating large quantities may seem easy, but it can be detrimental to your health. All of those things are not completely bad, but just eat them in moderation. Enjoy that slice of pumpkin pie and dark meat turkey, but just eat them in moderation. 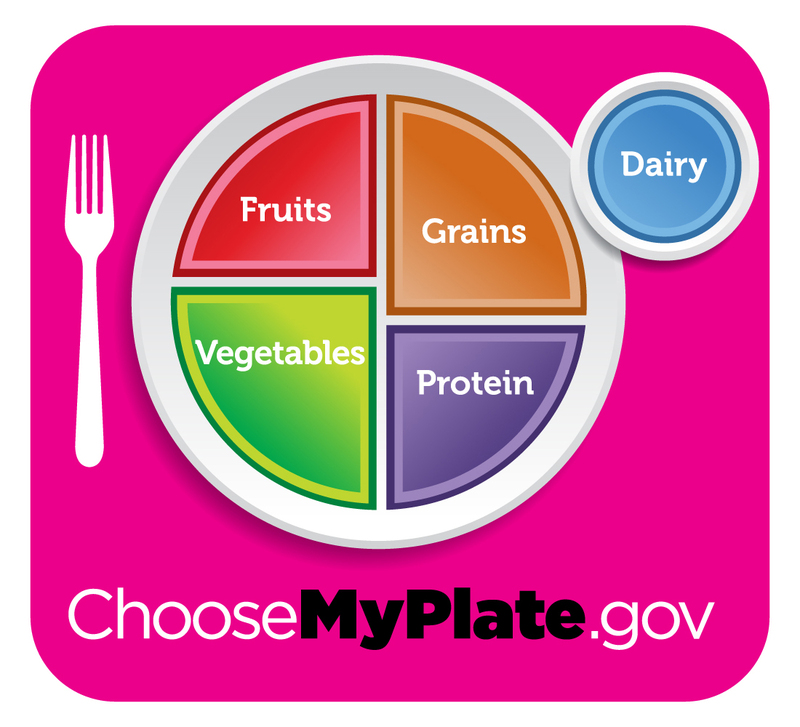 Also, remember to use the USDA [United States Department of Agriculture] My Plate when it comes to serving yourself food. Half of your plate should be fruits and vegetables. So fill it up with salad, sweet potatoes, carrots, green beans, and any other type of vegetable. Remember, protein portions should only fill up a quarter of your plate. Another way to control your calorie intake is through your beverage intake: make water your standard, go-to meal beverage. Try to avoid soda and juices. Instead of drinking juice or other sweet drinks, enjoy a bit of cranberry sauce or a piece of fruit. Keep water on the table as the standard beverage. This can help you control the calories around the holiday meals. Scrub the potatoes but don’t peel. Poke holes in each of the potatoes using a fork/knife and place them on a foil-lined baking sheet/baking dish. Bake potatoes for 1-1½ hours until tender. Potatoes can be served in their skins, topped with sweetened yogurt and pumpkin seeds OR mashed flesh with yogurt and serve topped with pepitas.